There are few electricians in the commercial and industrial field that don't know how to bend EMT conduit with a hand bender; it is one of the primary skills necessary to acquire—and perhaps the most troubling for the new electrician—which is why I've written this conduit-bending guide. Learning how to bend conduit is an early task for the beginning electrician in both the commercial and industrial fields. Nevertheless, it is not a difficult skill to learn with a little study and some practice. This article is divided into three main sections, plus this introduction and a brief discussion of the tools necessary. 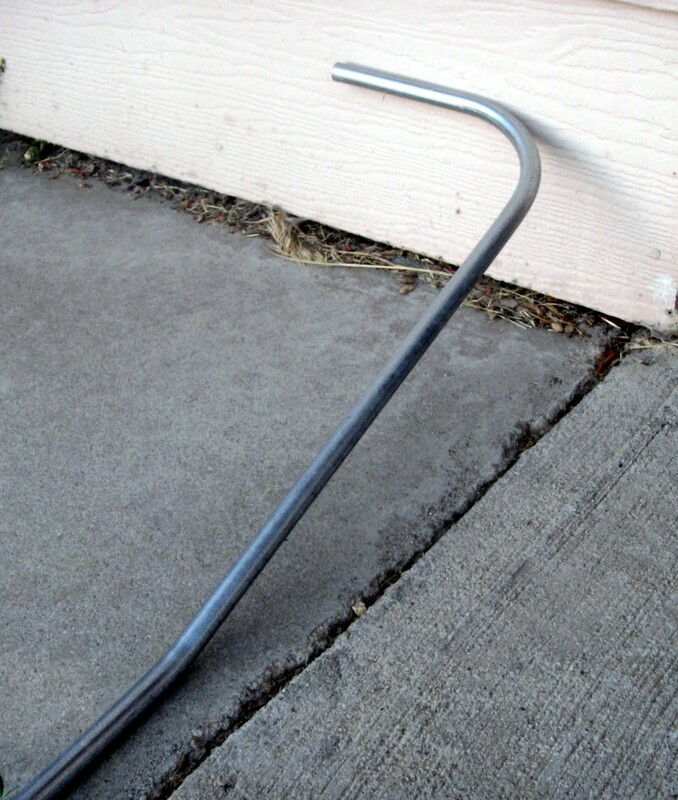 With careful reading and some practice (perhaps with some "bones" or scrap conduit from a job site), you will understand the basics of how to bend electrical conduit. There are three basic bends that are commonly used: the 90° bend, the common offset and the saddle. A more advanced type of bend, called concentric bends is discussed in a separate article. Each will be discussed separately, and you should make sure that each is understood and practiced before moving to the next section, as each builds on the prior section. 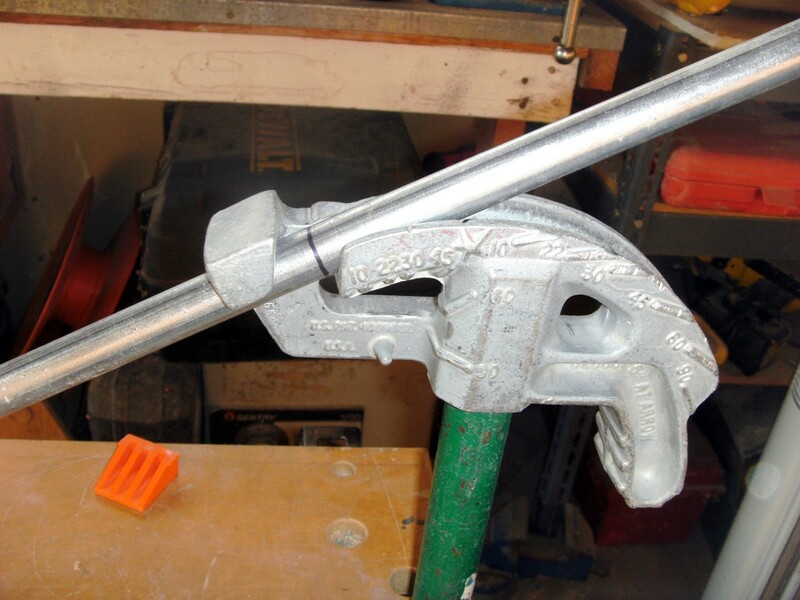 There are only a few necessary tools for bending electrical conduit. Benders are the most obvious, of course, and there is a wide choice available. Aluminum benders are preferred as the steel benders, while stronger and sometimes cheaper are also much heavier and the extra weight will tell over a day's work. Some benders have markings on both sides of the bender indicating the degree of bend on one side and the "multiplier" on the other while some do not, and for the beginning electrician, it is very advantageous to have those "multiplier" markings as they are used constantly in calculations. A handle is nice but not necessary. 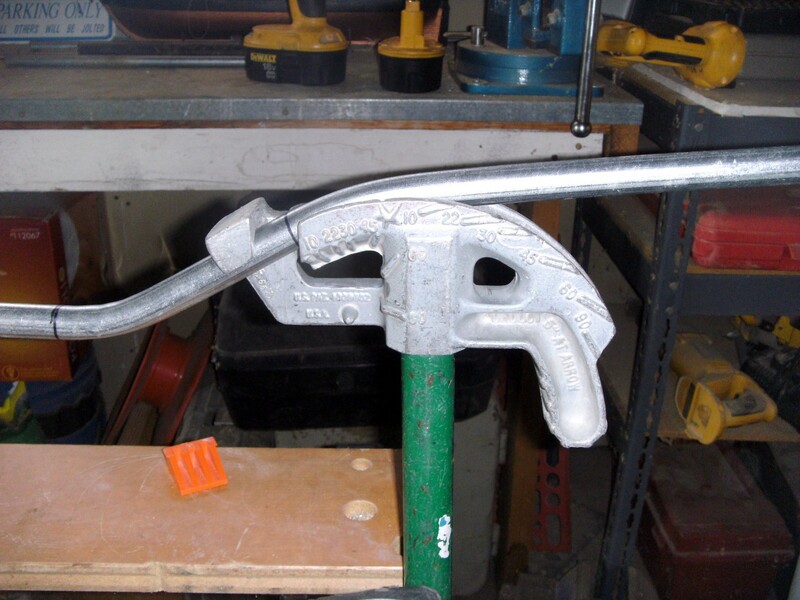 Most bender handles from the manufacturer are larger at the user end and will fit over the electrical conduit but the actual size of the handle is the same as common plumbing pipe and can usually be found in a job site scrap bin. Should you make your own handle (or have a plumber do it for you) make sure to file the cut end of the pipe well and try to match the length to another bender of the same size. The most common sizes are ½", ¾" and 1" but many shops will provide the 1" size as necessary. Some shops also provide the smaller benders but it is a good idea for the electrician to own his or her own benders. 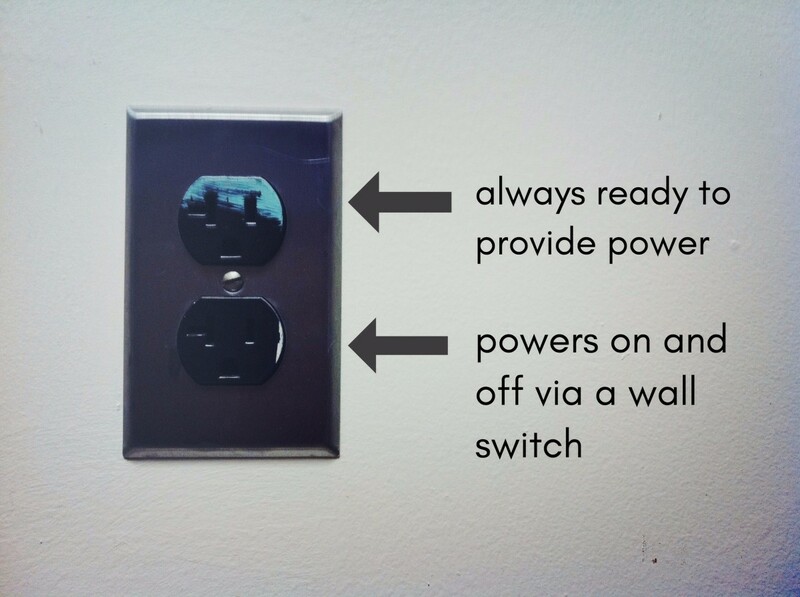 Each brand is a little different to use and tools owned by the electrician may be "personalized" to their taste. A good torpedo-style level is necessary. Make sure that your level is top quality—a $5 plastic level simply won't perform and even a more expensive mid quality level will not have the lifespan of a good level. Amazon offers several high-quality levels that are good choices for the electrician with such amenities as a V groove on top, multiple level vials to include a 30° angle and rare earth magnets. Strong magnets are a plus as levels are often placed on conduit and left, sometimes many feet in the air. Checkpoint and Swanson both make good levels, with some models even having the "anti-dog" screw for bending large conduit. A good measuring tape. A ¾", 25' tape is minimum, with a 1", 25' or 30' tape being preferred. 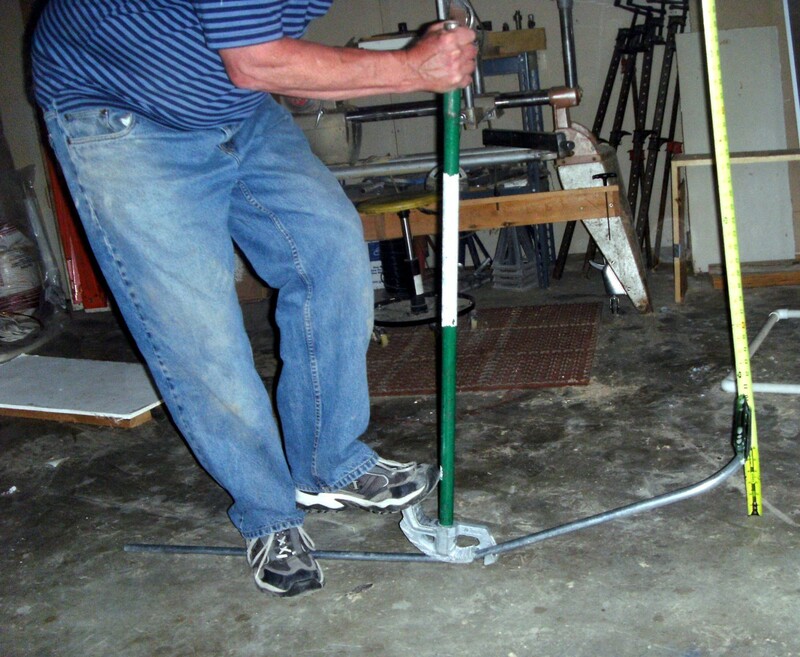 The "standout" feature is important as measurements are usually taken without support under the tape measure and it needs to support itself while extended out 8 or 10 feet. A few markers of some kind will be necessary; the common "sharpie" is widely used as is the carpenter's pencil. Black markers are preferable as colors can be hard to see from a distance or in dim light while the pencil is used for exposed work such as in a mechanical room or many factories. Do not use a sharpie for exposed work, as conduit is often painted and the ink will bleed through and be visible after painting. The right angle, or 90°, bend will be the first bend. Anyone can quickly learn to bend a 90 in electrical conduit and then cut the conduit to fit, but the professional will not need the cut. Picture an example of a conduit attached horizontally to a wall; it needs to continue across the wall to the next wall and then turn 90° and continue across the second wall. Measurements and math are needed, but don't worry - the math is simple. Measure from the end of the conduit to the wall - perhaps it's 25 ½". 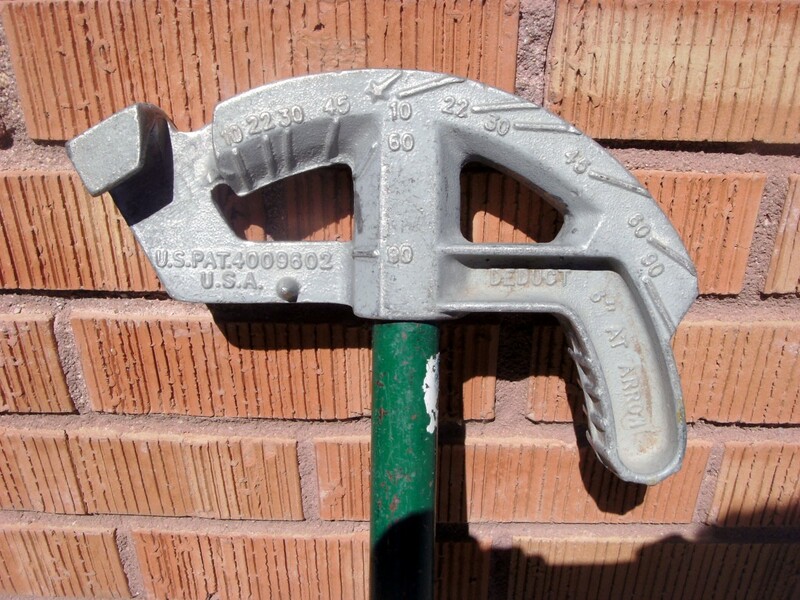 The photo below of the front side of the bender head shows that for ¾" conduit the deduct is 6"; deduct 6" from the 25 ½" measurement leaving 19 ½". 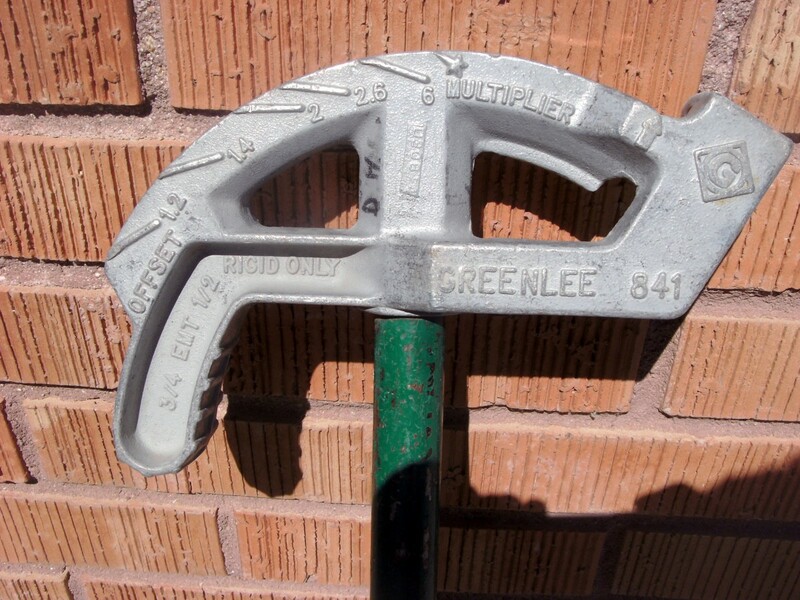 Place a mark on a new piece of conduit 19 ½" from the end. Work the bender onto the conduit and line the arrow on the bender up with the mark; place the bender and conduit on the floor. The toe of the bender must be pointed towards the end of the new conduit where the 19½ " measurement was taken from. If the conduit were already bent and attached to the piece already on the wall the toe of the bender would point toward the already installed conduit. If the bender is placed on the conduit backwards the length will be wrong; so make sure it is pointed in the proper direction. While placing firm pressure on the foot pedal (much of the force to bend the conduit will come from here) press the handle of the bender towards the floor. In our example the short end of the conduit will rise into the air - once it is at 45° or so grasp that end of the conduit with one hand and apply gentle pressure. This hand is used primarily to steady the conduit, not to bend it, so don't use a lot of pressure there. This is also a good time to attach the level to the piece that is coming up. Continue bending the conduit until it looks very nearly vertical to the floor and check the level. 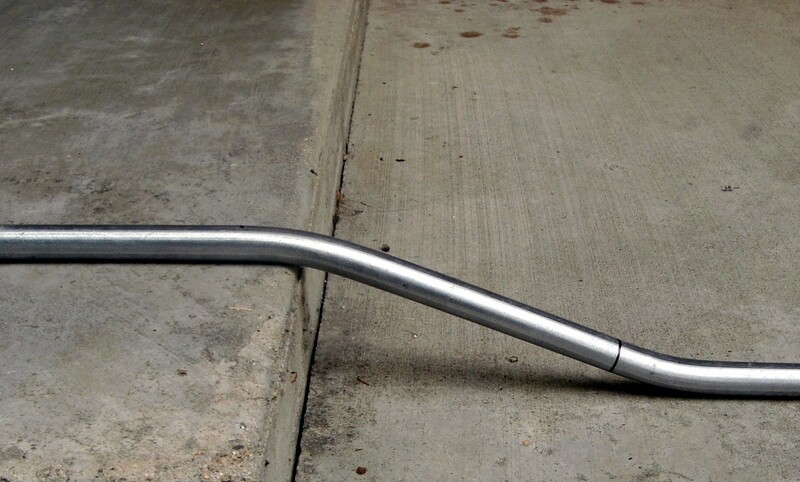 Be aware that a very slight overbend is desired as the conduit will flex back very slightly when the bender is removed; the weight of the bender is adding a small amount of bend just by being there. A few degrees of overbend can usually be removed by hand, but only to a point, so check the level before it appears to be enough. Make sure the firm foot pressure is applied the entire time - if this is not done the conduit will kink and be ruined. The National Electric Code does not allow any kinking at all - bends must be made smoothly - so use adequate foot pressure. 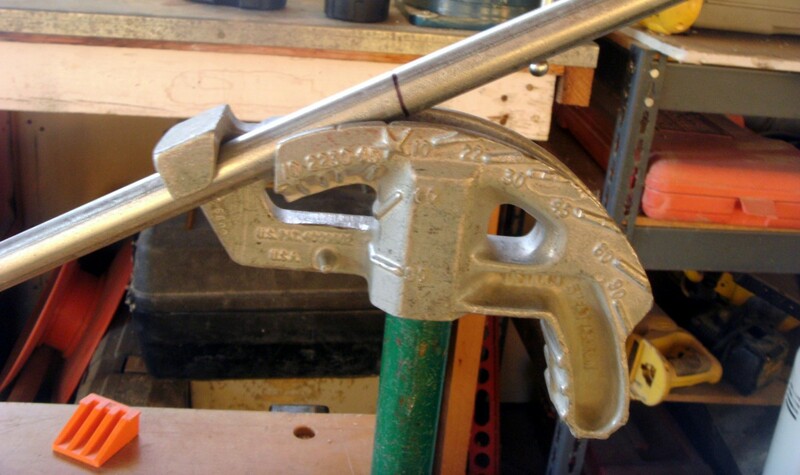 Larger conduit is more difficult in this regard; 1 ¼" conduit bending will often require one person standing on the bender foot and one person working the handle to keep the bender pressed hard into the bending conduit. The above procedure works well for short measurements, but what if the measurement in our example was 110" to the wall instead of 25 ½"? 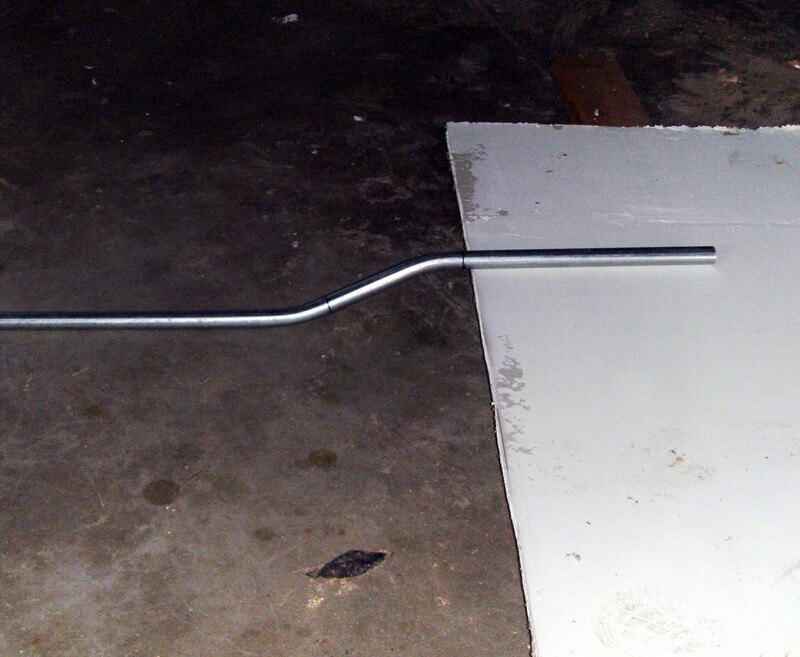 The bender will be sitting on only 15" of conduit (one piece is 120" long) instead of about 8' and that 15" will steadily decrease as the bend is made, causing the end of the conduit to be smashed against the floor and damaged. The solution here is to "back bend" the conduit - turn the bender around the other direction - this will again put the bender on the 8' length. It will also make the length wrong, however, so when a back bend is done there is no deduct to consider and the star near the center of the bender is lined up with the mark instead of the arrow. Back bends are not generally quite as accurate as to length, but make a very good option for long stubs and are routinely used. 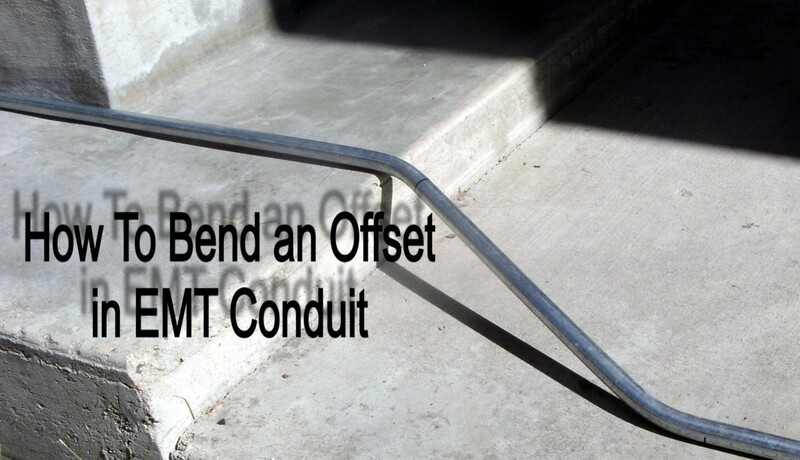 The next common conduit bend that needs to be considered is the offset. 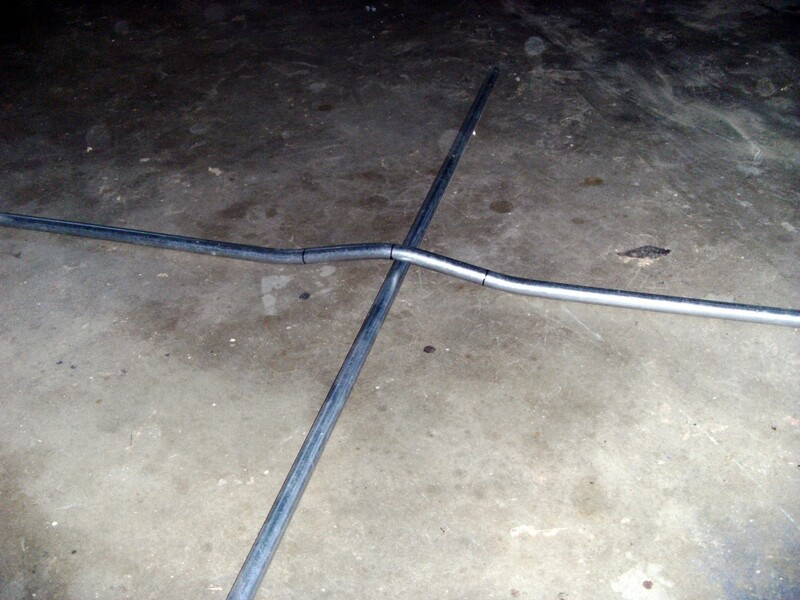 An offset bend is used when the "run" of conduit needs to continue the same direction but meets an obstacle and jogs to the side, over or under the obstacle - see the photos below for the general shape. The first step to an offset bend is again measurement and calculation. 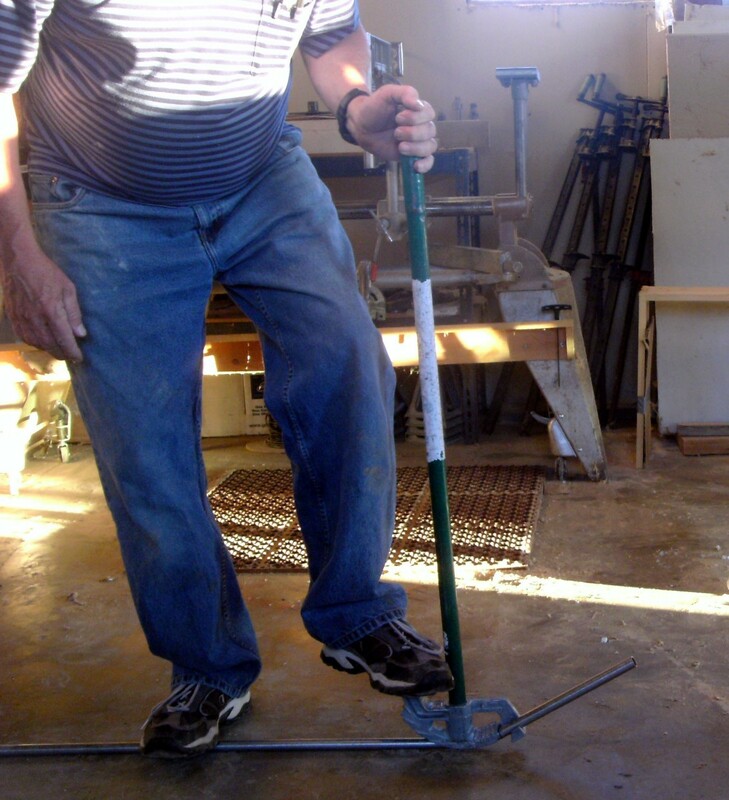 Measure exactly how far the conduit needs to jog, making sure that the thickness of the conduit is considered. For example, if the conduit is sitting on the top plate of a wall that is ending and needs to move up to the ceiling the measurement would be taken from the top of the conduit on the wall to the ceiling. A measurement from the top of the wall (bottom of the existing conduit) to the ceiling would have the new conduit buried in the ceiling when completed. The angle of bend must be chosen next - in general the shorter the measurement the less angle is used. A measurement of 5" might call for a 22° bend (one of the bends marked on the bender) while a 15" measurement would probably need a 30° bend. Each circumstance is different; try to visualize the appearance of the conduit once bent and how long the offset bend will be. Let's say we need a 5" bend; checking the multiplier for a 22° bend (stamped on the side of many benders - otherwise memorized) indicates it is 2.6. This means that the 5" measurement becomes 5 X 2.6, or 13" so two marks are made on the conduit 13" apart. The entire offset needs to be completed before running into the obstacle, so make sure that the farther mark is no farther from the end of the conduit than the distance from existing conduit to the obstruction. 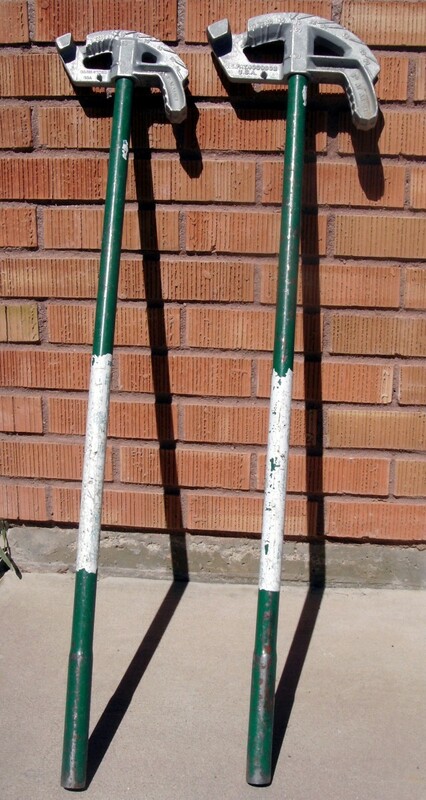 Offset bends are most often made with the bender upside down; that is with the handle end on the floor and the head of the bender in the air. Insert the conduit into the bender, lining up the furthest mark with some mark on the bender (the front of the shoe makes a good place, but any mark will work as long as you are consistent). 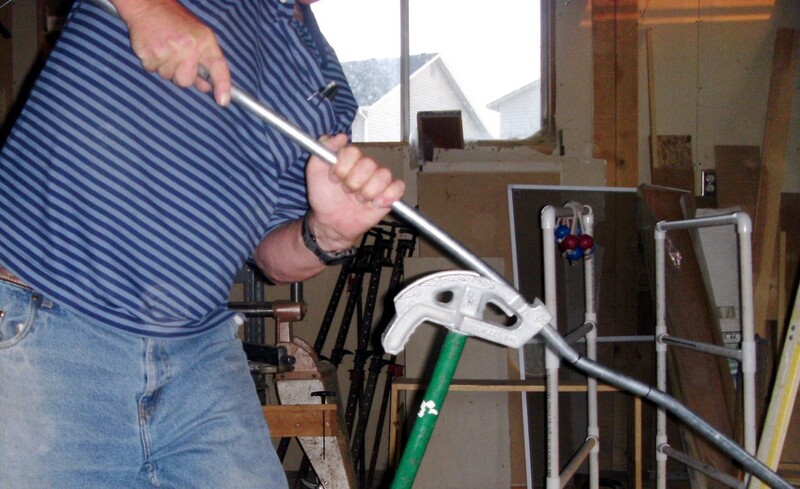 Place one foot on the handle of the bender as it will tend to kick out and slowly bend the conduit over the bender. Keep the hand applying pressure as close the the bender as possible with the conduit under your arm and bend until the conduit is lined up with the appropriate degree mark (in the case of the example, 22°). Slide the conduit forward in the bender until the second mark is lined up with the front of the shoe (or whatever shoe placement was chosen) and rotate the conduit 180° so the second bend will be in the opposite direction. 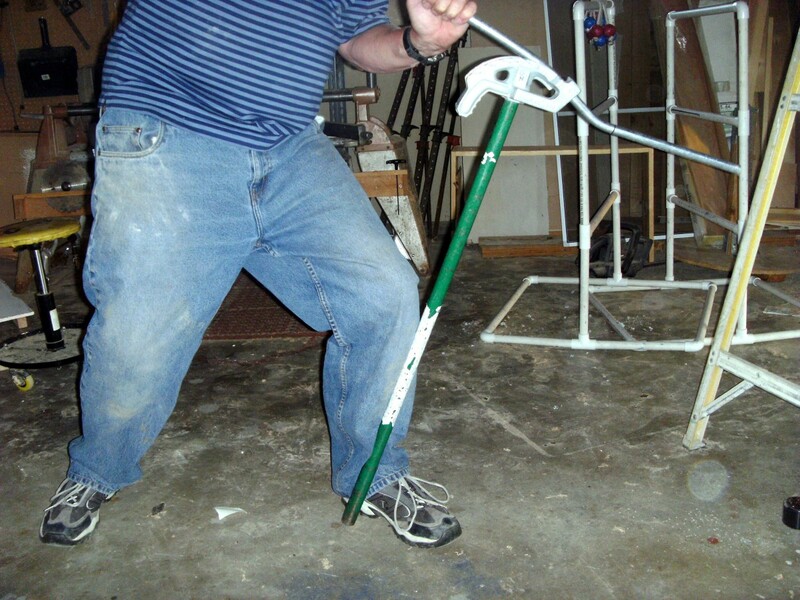 Repeat the actual bending process to produce a second, identical bend. Practice using various angles for the bends. Smaller angles are more difficult to get exactly right as just 1 or 2 degrees off (difficult to see on the bender) will make a greater difference if bending 10° rather than say, 45°. They also make a much longer bend; compare the multiplier of a 10° bend (6) with that of a 45° bend(1.4) and are not usually used for large offsets. Nevertheless, smaller degree bends should be used whenever possible to minimize the amount of bending in a "run" of conduit. Memorize the multiplier values and carry a small calculator if necessary (most cell phones have that capability as well). Saddles are the final common bend and there are two types of saddles, known as a 3 point and a 4 point saddle. Four point saddles are simple - they are merely two offsets (a total of 4 bends) with a space between them to temporarily raise the conduit to cross an obstacle. One offset is made and then, with the conduit placed in the bender with the opposite end forward, the other offset is bent. Three point saddles are considerably more difficult and are the bane of many electricians. There are many otherwise fine electricians that after 10 years still can't make a 3 point saddle and have to bend a 4 point saddle for everything, but it just isn't necessary. Learn how to bend a 3 point saddle. A 3 point saddle consists of 3 bends, with the first one commonly being made by lining up the conduit with the bender mark for the center of a 45° bend. A center bend of 45° produces a very tall saddle however; considerably more than is generally called for, and results in unnecessary angle of bend. A far better approach is to permanently mark the bender (remember the advantages of having your own personal bender?) for the center of a 22º bend. Make a 22° bend in a piece of scrap conduit and, laying the conduit on the floor or a table carefully mark the center of the bend. Eyeball is fine - you don't need a micrometer for this. 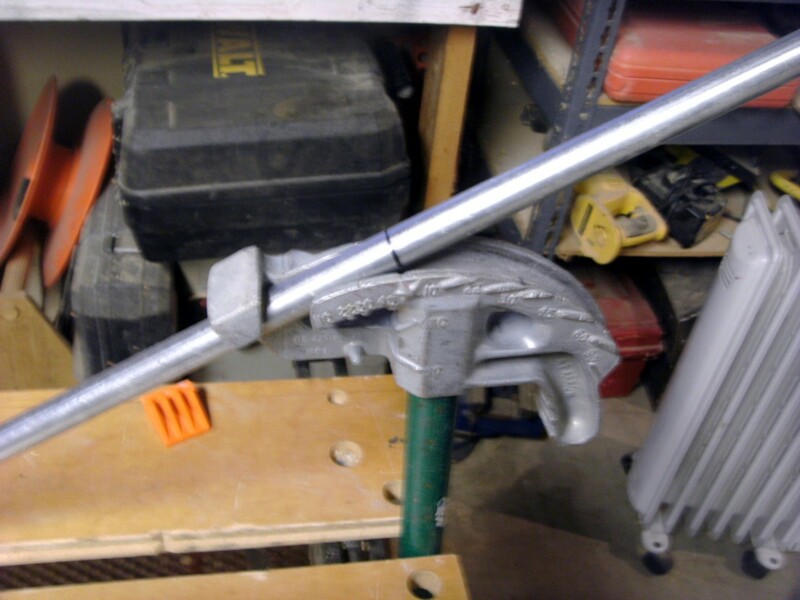 Replace the conduit in the bender to the same place it was before (mark the conduit before removing at the toe of the bender) and transfer that "center" mark to the bender. Make that mark permanent by filing a groove across the two sides of the bender; it is now possible to bend a 22° angle and know where the center of the bend is. Next, mark the conduit where the center of the saddle is to be, but be aware that the conduit will "shrink" about ¼" for the each 1" of saddle depth. That is, it will shorten that ¼" so if the center of the bend is to be at 20", make a mark at 20 ¼" for a 1" saddle. A 2" saddle would be marked at 20 ½" instead of 20". Make two additional marks, one on each side of the first mark, at 4" away from that first mark for the first 1" of saddle plus 6" for each additional 1" of saddle. A 2" saddle will need marks 10" from the first mark. Insert the conduit into the bender, lining up the center mark with the personalized file mark cut into the bender, and bend to 22°. 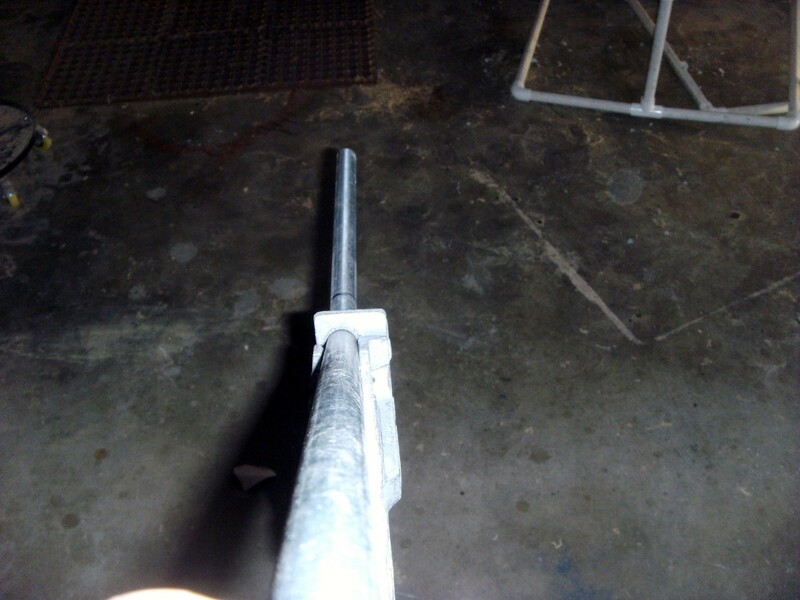 Slide the conduit forward until the next mark is on the arrow used to bend a 90° angle and rotate the conduit 180° before bending the second bend to 11°, or a tiny bit over the 10° mark on the bender. Next, reverse the conduit and reinsert into the bender and line up the third mark to the arrow. The two bends already made will be in front of the bender, not behind it. Again bend the same 11° bend. Lay the conduit on the floor and check that both ends are lying flat - it may need a little additional "tweaking" for perfection. Never forget that the National Electric Code limits the number of degrees bent to 360° between junction boxes as well as the fact that the more bends the harder it is to pull wire into the electrical conduit. These two facts make it important to limit your bends to the minimum necessary. Unfortunately, many electricians will bend only 30° offsets (the math is easier as the multiplier is an even 2 instead of 2.6) and 3 point saddles using a 45° center bend (they haven't marked the center of a 22° bend). The 3 point saddle now has 90° bent into the conduit instead of the 45° it would have using a 22° bend and the offset has 60° instead of the 20° or 44° if it were bent using 10° or 22° bends. The extra bends will often result in additional junction boxes and always a harder pull, so make the bends with as little bend as possible. Learning how to make the minimum bends necessary is as important as learning how to bend conduit at all. Another method of reducing bends is to combine half of an offset with a 90° bend; the 90 is used in place of the second half of the offset bend. 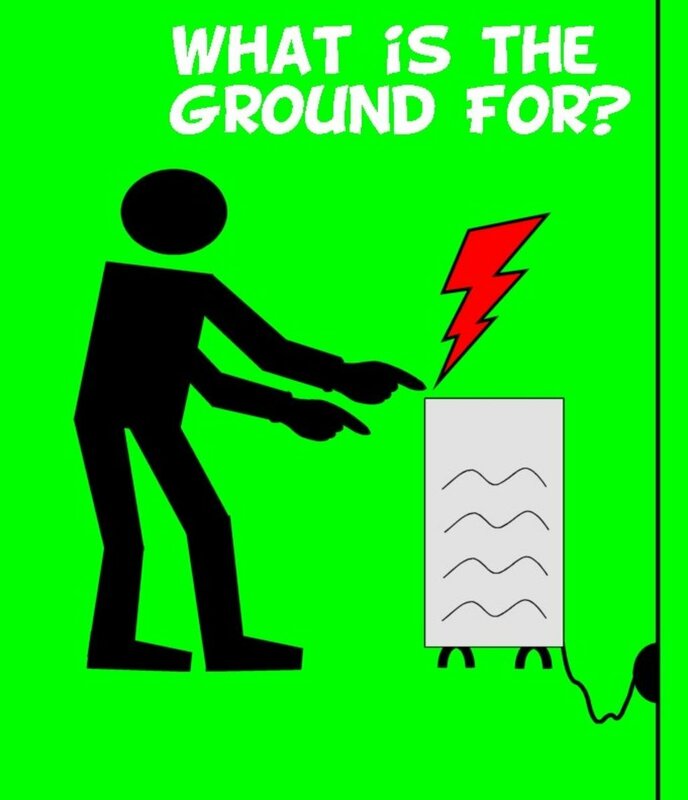 See the photo for an illustration; bending should be evident and will be not be discussed except to say that there will again be "shrinkage" of the conduit. The amount of shrinkage varies widely based on many variables and while it is possible to calculate it most electricians simply make the bends and cut the conduit to fit. This type of bend is called a "kick" and is very common, so look for places to use the kick in place of an offset followed by a 90°. Additional instructions are given in an article written on how to bend a 90˚. A final note: This article is but one of several written by an electrician, for electricians learning how to bend EMT conduit. A comprehensive guide to bending conduit has been written that gives a brief description of each page, along with a link to individual pages as well as a handful of other links to pages electricians might find useful. Feel free to check out this title page for anything else that looks interesting. If you don't find what you are looking for, leave a comment and it will be considered for future pages; the whole series is, and will continue to be, a work in progress. How much do you lose on a 2 1/2 inch kick? Impossible to tell, as it depends on the angle the kick is bent on and how long it is. But the article at https://dengarden.com/home-improvement/EMT-Electri... will describe how it can be calculated given the necessary information. I will try and keep this as simple as possible. I’m running 2 - 2.5 “ and 2 - 2” EMT coming out of a 12x12 box above the ceiling 60” with a 6 “ kicked 90. When I proceeded to bend the 2” conduit with same exact measurements the KICK angle was nowhere near matching the 2.5s. How can I match the angle of 2.5s? The radius of the two 90's is different - are you using that somehow to bend the kick? If the length of pipe after the kick and the distance of the kick are the same, so is the angle. 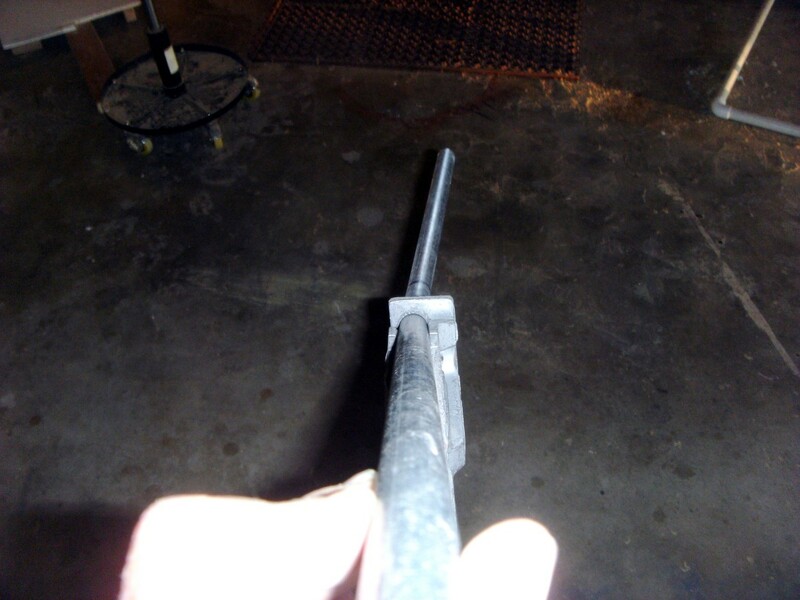 If, however, you are trying to bend different amounts of kick into the pipe the angle will change with each pipe. You're more than welcome, Paul. If you want to try it (3/4 pipe is cheap), multiply the distance between pipes by 1.4 and deduct that from the distance to the first 45 on the prior pipe. If the pipes are 2" apart and the distance to the first bend for the first pipe is 30", the second pipe should have a distance of 30 - 2*1.4, or 27 1/4". The third pipe will have the first bend at 24 1/2". The distance between bends should remain constant. The problem is that when you measure distance between pipes, you are measuring in a different direction in the 45 degree area than when it is going straight ahead (if you can follow that, LOL). Increasing that measurement by a factor of 1.4 should, I think, fix that but I don't guarantee it. 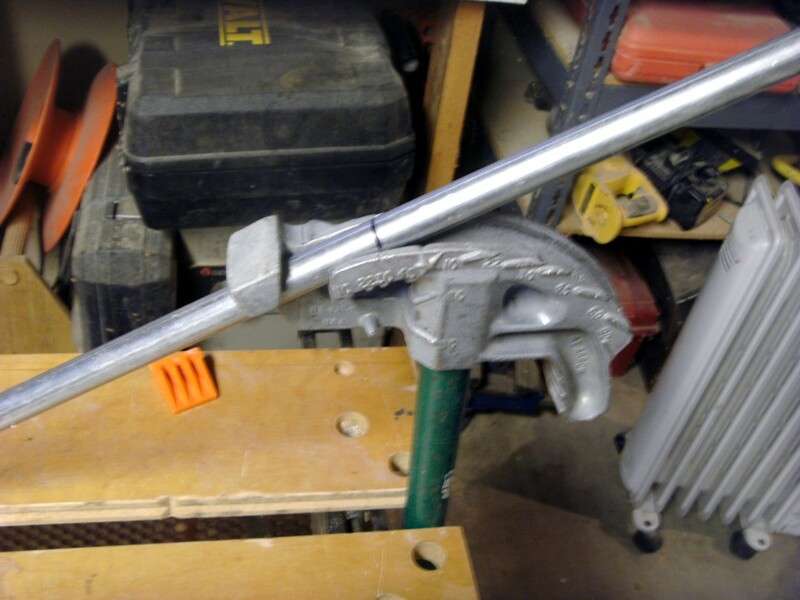 Would have to give it a try (the radius of the bend will come into play to some extent as well, and doubly so when working with different sizes of pipe), and I don't have a rack to test it on at the moment. If I'm understanding your question, personally I would make the bends identical and the cut the length to the first 45 to fit. It would be possible to calculate the positions, but guessing and then cutting will come quite close with only a very small amount of waste. This will make the distance to the first bend slowly decrease, but if that is not done the distance between pipes on the 45 angled section will either be closer or not possible at all depending on the size of the pipe. How do you bend multiple 45 degree offsets on a lateral rack that will cross over to another lateral rack?What is the method for having the bends land in the same position and maintain the spacing all along the pipes. An extra inch would probably work well. You will still have to get it and measure it though. thank you very much sir for taking time to share your wisdom and experience with those of us who are are still learning how to do the things right ,it is very much appreciated . i have an one last question . could this same method be applied when making kicks too ? let's say i need to make a kick of 20'' on a 2'' or 2 1/2'' emt pipe, an extra inch of kick would be ok to compensate the springback ? or what would be the best option. thank you. Castillo, I don't think you could ever calculate springback. Just too many variables - size of the pipe, how much bend, even who manufactured it and the current temperature of both day and pipe. Rather, the best method is to overbend the pipe a couple of degrees, relax the bender and check the bend with a protractor. Add a little bend as necessary, but without overdoing it; it will be almost impossible to take excess bend out. You can add, but can't take it back out. it's really helpful information and easy to understand .could you tell us how and when we need to calculate the springback of big emt pipe . thanks. [quote]8192 characters left. [/quote] You recommended that terrifically.. Ugly's has indeed compiled an excellent reference book and it is highly recommended for any electrician. UGLY'S for years for every other electrical fact and only recently delved into the last chapter and discovered the conduit instructions. Wonderful - I'm glad I could help some. And thanks, John, for letting me know. It's why I write - to help others learn, and it's good to know I've done at least some good. e. Thank-you for taking the time to teach. James, you are certainly welcome. If my efforts to pass on what my own teachers gave to me have helped, it was worth my time. And thanks for your comment; helping others is why I write these articles and I appreciate your letting me know it was of value. thanks to all those that took the time to make this page and care about teaching the future electricians like myself. I'm sorry - if you can be more specific perhaps I can explain a little more. What are you having trouble understanding? And you do have a bender and some conduit you can work with? It will be more understandable if you do. Hate to say this but the explanation is a little confusing. It could have been worded better. Shrinkage considerations are not necessary to bend a normal 90; it is already taken into account on the bender in the deduct. and the calculations for a 3 point saddle and an offset are the same as the first half of that saddle IS an offset. I haven't found shrinkage calculations to be particularly valuable in the field. It is usually not necessary to be that particular, and when it is the offset can be made too far out and the pipe cut off. If your work often requires it, though, it could be done by memorizing another set of multipliers (1 divided by the tangent of each angle) and calculating it each time. Not too difficult, and that link will show you how. What about the shrink calculation on the conduit before the bends? Glad you found the information and tips valuable. Saddles, especially 3 point saddles, is one are many electricians have trouble with - they have never been taught or learned how to do them and as a result it is trial and error. I hope I was able to give enough information to eliminate that trial and error from your procedures. That's a very useful and practical tip on bending saddles to save time and frustration. I have "personalized" my bender permanently with that mark. I work as a maintenance guy in a print shop and have bent a few saddles, wasting a few lengths of EMT in the process. After reading the paragraph on saddles I bent a piece with a small, tight-tolerance 3-point saddle followed by a 90 bend that had to arrive at a very specific spot. One try! I'll send others to this page, even those who say "I've done lots of those". Your technique is really unique. Thanks for the comment - it's good to know that I've managed to be of value to someone. If you've worked with it before, I'm sure it will all come back quickly. This is great! Exactly what I was looking for just needed a quick reminder of bending conduit since I am starting my new job for an electrician. Since it has been 6 months from the last time I have bent it! I hope you found it useful. I tried to cover the basics of pipe bending in this article, with additional details for more advanced work in other more in depth articles. Thanks for the compliment. 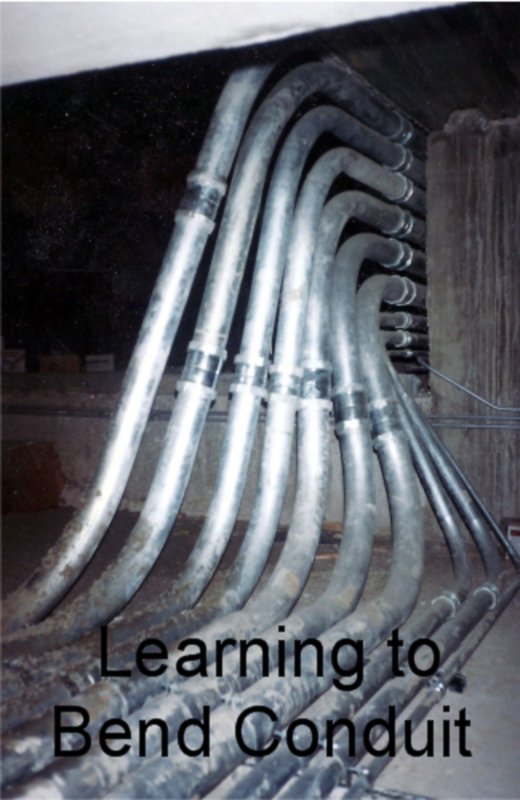 I hope it helps people learn how to bend pipe - it really is necessary to become a good electrician. 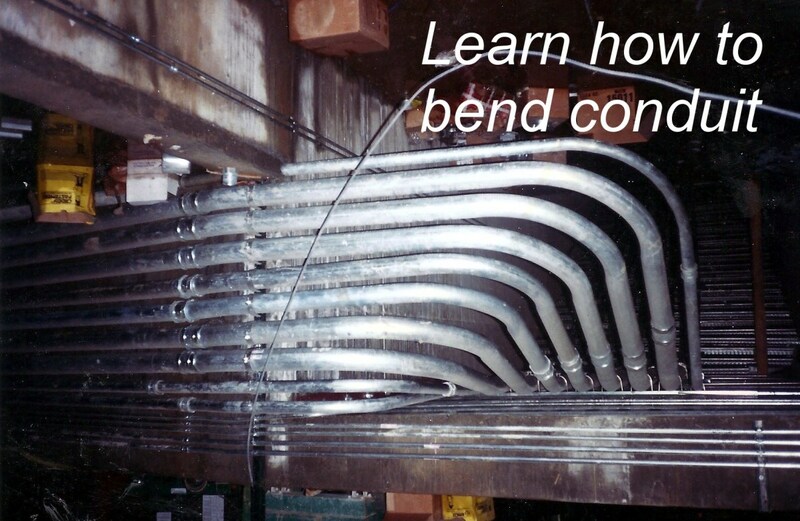 WOW that is a comprehensive hub on how to bend conduit! Instead of explaining it to our apprentices I am just going to send them the link to this! Awesome!